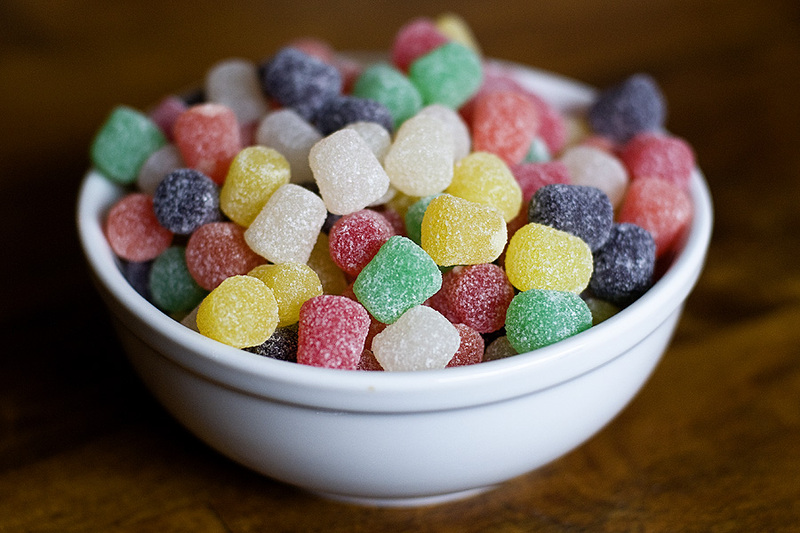 Gumdrops: you either love ’em or you hate ’em. If you love them, try this recipe. Additionally, why are gumdrops so hard to find? I had to go to three stores before I found them! 1. Preheat oven to 350F. Line baking sheets with parchment paper. 2. 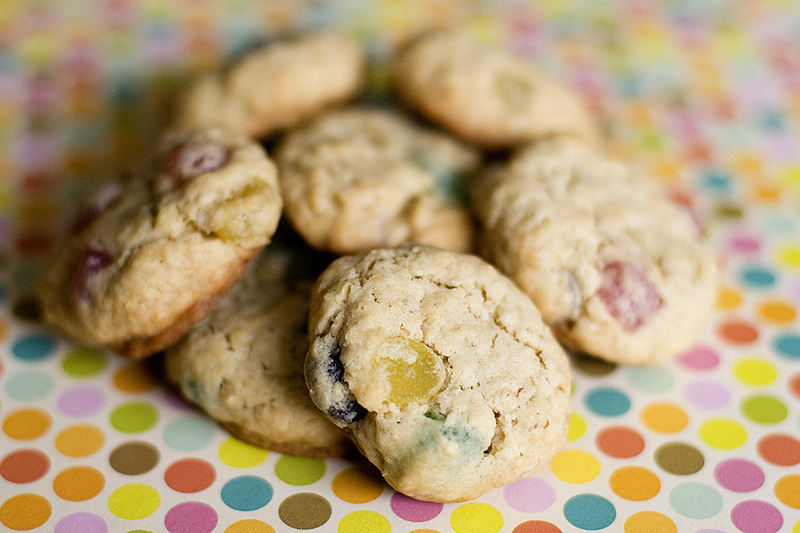 Cut gumdrops into small pieces; set aside. 3. In a large bowl, beat butter and sugars at medium speed with an electric mixer until creamy. Add eggs, one at a time, beating well after each addition. Beat in vanilla. 4. In a medium bowl, combine flour, baking powder, salt, and baking soda; gradually add to butter mixture, beating until combined. Stir in oats and gumdrops. 5. Roll dough into 1-inch balls and place 2-inches apart on prepared baking sheets. Bake 9-11 minutes, or until lightly browned. Let cool on pan for 2 minutes, then remove to wire racks for complete cooling. * A reader pointed out that it may be necessary to press these cookies down prior to baking, so that they will spread.